Experience and expertise. You don’t want to trust your office to just anyone. The company you choose must be experienced and have a proven track record. The staff they hire need to be bonded and insured and undergo background checks. Ask potential companies about their hiring policies and whether or not they are going to send the same cleaning staff to your office for all cleanings. Wide range of services. 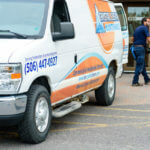 Along with office cleanings, the company you choose should offer a variety of other services, like carpet cleaning, residential cleaning, green cleaning options, and more. Affordable pricing. As a business owner, you don’t have an unlimited budget. Make sure that the company you choose offers a package that is both comprehensive and affordable. It is not too much to ask that you get quality services at prices you can afford. Dependable service. Whether you expect your cleaners to come every evening, every other evening, or once a week, they need arrive as expected and on time. Anything else is unacceptable. 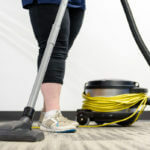 You should have complete peace of mind knowing that your offices are getting cleaned to the highest standards possible. 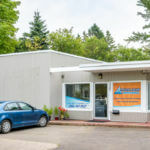 Whether you have a small office with just a few employees or a large conglomerate that occupies several floors in a high-rise building, office cleaning services in Fredericton, Moncton, Saint John and the surrounding New Brunswick area can help. Once you’ve chosen the company that you feel is right for you, make sure you sign a contract that details all the terms and conditions that you’ve both agreed to.